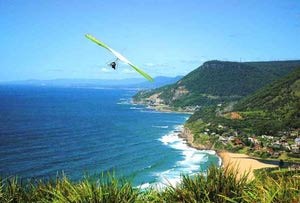 The NSW South Coast encompassing the Illawarra / Shoalhaven areas is a beautiful, rolling seaboard of unspoilt coastline and breathtaking scenery and stretches from the The Royal National Park, south of Sydney to . The clear waters, quiet beaches and stunning national parks make this region an ideal place for adventure and family activities such as bushwalking, swimming, surfing, rock climbing or canoeing. The area encompasses over thirty National Parks to enjoy across the coast and the hinterland.There are sleepy villages nestled amongst the headlands, long golden sand beaches including Berry, Ulladulla, Kiama, Nowra, Bomaderry, Shoalhaven Heads, Vincentia, Hyams Beach just to name a few.Enjoy National Parks, untouched beaches, spectacular wilderness, rivers and mountains, the rural life and big skies of the hinterland, with easy access to Australia’s premier snowfields and alpine wilderness or to our modern capital city with its famous parks, lakes and public buildings.